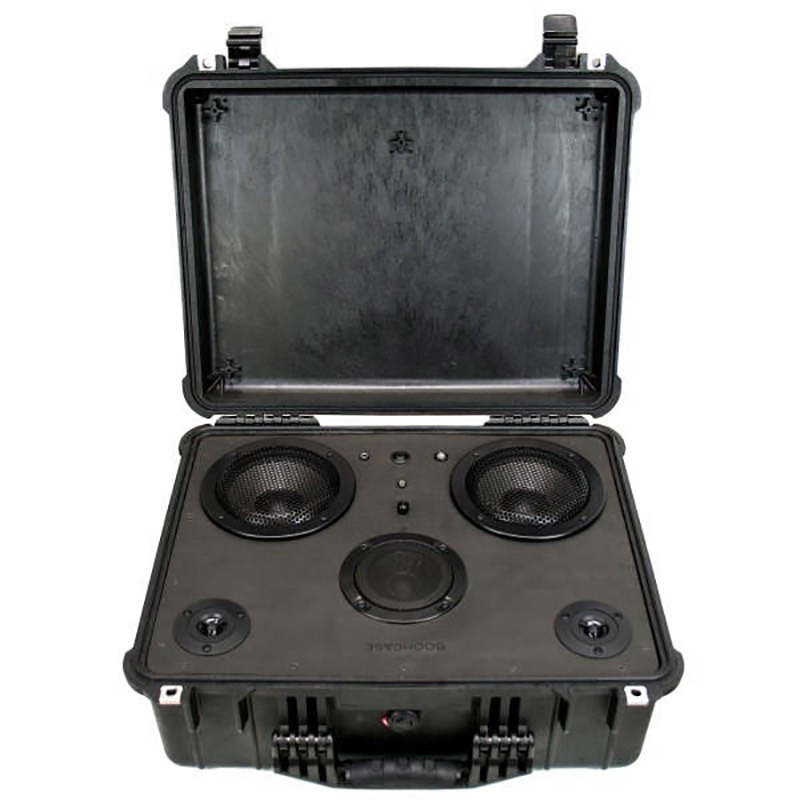 A powerful sound system built into a durable Pelican gear case. 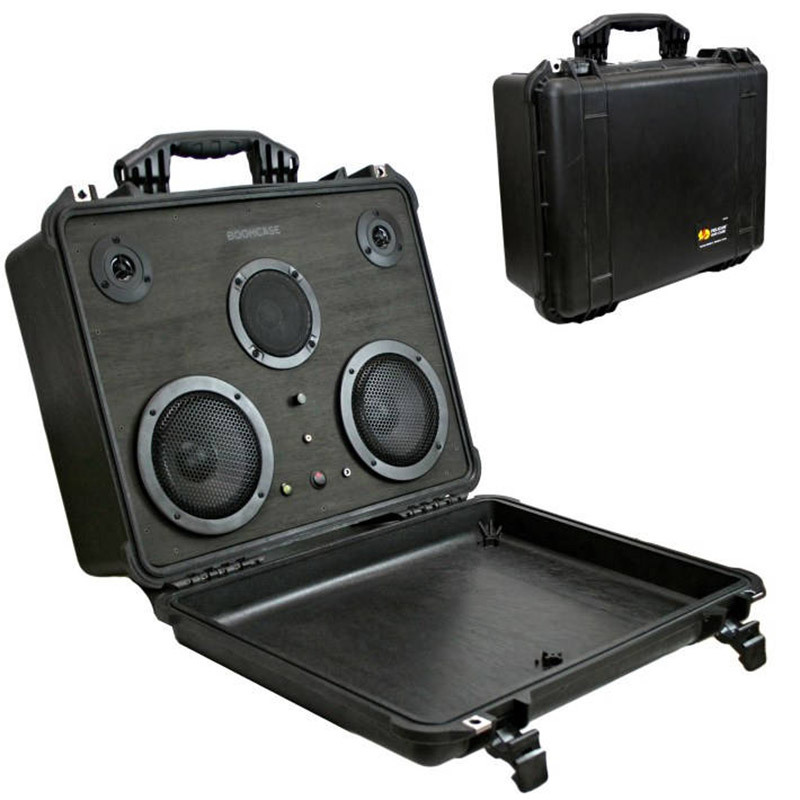 It packs two 6.5″ woofers, a 4″ mid-range, two tweeters, a 100 watt amplifier, and a lithium ion battery that provides 18 hours per charge. 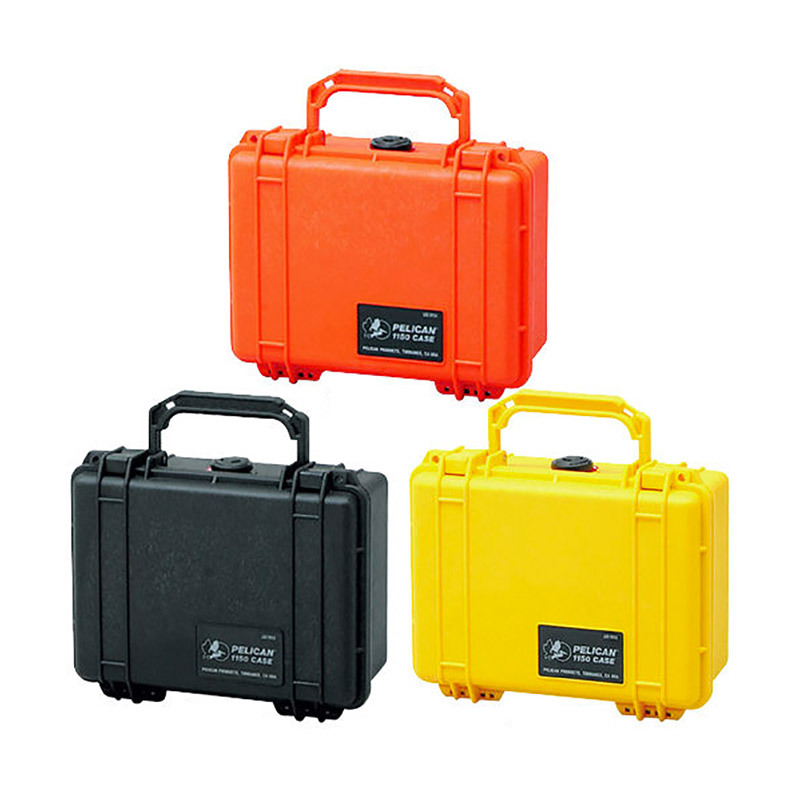 The case is waterproof and drop-proof, protecting the components inside.